Please Note: Project Prevention UK will not be paying for sterilization procedures. The BMA just makes that too difficult. If you disagree with this decision please contact the BMA with your opinion. We will only be paying addicts and alcoholics to use long term birth control until further notice. We thank all of our UK donors for their financial support and if this decision makes you rethink your donation we will gladly return it just contact us. Thank you to all those in the UK who truly "Get" what we are doing and agree that it is not okay to abuse innocent children. The recent story here in the US about the addict putting her 10 day old baby in the washing machine with a load of clothes (innocent Maggie Mae died). These kinds of stories which seem to be in the news more and more only drives us more to get addicts on birth control. Thank you so much those of you in the UK that support our mission. 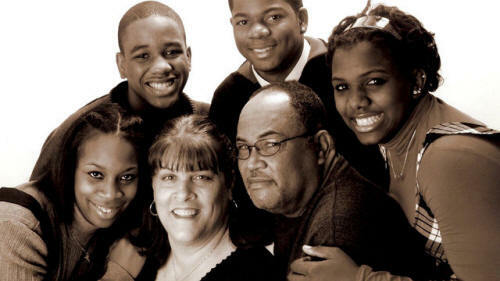 Video: US citizen Barbara Harris doesn't think drug addicts should have children. In fact, she wishes there was a law banning it. Should Junkie Mums Be Offered Cash In Return For Getting Sterilised? Taking a Stand - Featuring Barbara Harris, whose organisation pays addicted women to take contraception. After watching your program and having some experience through a family member (cousin) of what drug addition can do to families. I believe that in the UK the first point of call should be sterlising addict parents who have already had children and those children have been taken away from them and are now living in social care because of the drugs and their irresponsible behaviour. Hi I am the Foster Mum to a little girl aged 9 whose birth parents had drug & alcohol addictions plus whose mother aged 33 has had 9 children (all in care) and probably will have many more. I love and adore my foster daughter but behaviourally she is very difficult to care for affecting the well-being of many of those around her and well done for offering such a great service. Giving the children protection only after they are born is too late for them. It is \'shutting the stable door after the horse has bolted\'. My little one will probably always suffer in some way because of her 1st 5 years and society needs to do more to stop more children being born into such pain. Thank you so much for having the courage to offer what you do. There was a report about Project Prevention on the BBC Breakfast programme today (Tues) and I was horrified by the way many of the British drugs-abuse charities openly criticised the introduction of PP into Britain. Personally, I think this is the best news I\'ve heard in years, and is by far the most effective way of mitigating the horrifying effects of drug abuse on children and the wider community. My only regret is that our wishy-washy government hasn\'t had the balls to set up something like this themselves and it has taken the vision and courage of an American to introduce such a scheme. Good luck to you all and I can safely say you have the support of the vast majority of British people. Just seen this on the news, brilliant. I had to deal with this issue as a teacher and it enraged me. I hope you are successful in the uk and not defeated by the liberal urban elite who seem to dominate our country with their wishy washy half hearted solutions to our deep social problems. I have made a donation. I am a child protection solicitor for a County Council in this Country. All i want to say to you is THANK GOD for project prevention! Congratulations in coming to the UK. I get tired of hearing about drug addicts rights whilst children suffer, who under the \" drip , drip\" effect of neglect suffer death, injury, emotional and physical abuse. I hope to see the success of this project in my everyday work. Welcome to the UK. I know the Hard Talk show and used to watch it when we lived in SF on BBC America. I think the presenter has changed since then; he was pretty gruff. Let me know if you don't have access to the show and I'll get you an episode or two. It should be good and hopefully not too combative. It will be interesting to see if the media in general can begin accept the argument that the rights of babies born into dire conditions medically, materially, maternally and paternally should take precedent over the rights of mothers and fathers to continue to create them. Maybe I haven't put that very well, but I often think that in the somewhat related right-to-life campaigns, people often forget about the lives of those children who were unwanted and focus only on the dictates of their religion. Anyway, your comments in print regarding your campaign stand up very well and I'll look forward to seeing how it plays. Your family is fascinating and I'd like to meet them as well. It certainly disarms those who would quickly try to dismiss your project using typically shallow arguments. I heard Barbara Harris/' interview for BBC Radio 4. I am English but live in Malta. It is utterly admirable the work you do. Your conviction is perfectly placed and makes a huge difference for our society in which you live. So rarely are peoples convictions so selfless and well placed. I admire your honesty and determination to effect peoples lives. I wholeheartedly applaud you and your organisation. I recently heard Barbara talking to Fergal Keane on Radio 4 (UK). I think the work you are doing is very, very important. You are saving so many precious little lives. What ever any body says you are making a truely positive impact on the world and helping so many people. Thank you. I wonder if there is a similar organisation in the UK. I will be making a donation. Dear Ms Harris I have just been listening to your interview on the BBC (I live in the UK) and I just wanted to let you know that I think what you are doing with Project Prevention is fantastic. O belong to a pro choice group and I will raise your project at the next committee meeting to see if there is any way we can assist- even if only in terms of support. I think we need a similar scheme here in the UK, for addicts in the first instance. Dear Ms Harris I have just heard you on Radio 4 in the UK this morning. What a breath of fresh air and good sense. I am frequently vilified for expressing similar views and it is good to know that others are doing something about this dreadful problem. I work in the criminal justice system. Too many young people have lives blighted from the day they were conceived. Where are their human rights. Keep up the excellent work! Dear Barbara, Driving home in the UK last night I heard your BBC interview. I cannot think of another radio interview that I have listen to that the person being interviewed has impressed me so much. Your honesty, conviction and sound common sense have left me lost for words. I have very little experience of the world you are working in but I just know you are doing the right thing! Not a suggestion, just support. I heard Barbara/'s interview on BBC radio today, and was moved by her honesty and strength and courage. The interviewer did his best to make her feel bad or get her on the back foot, missing some of her points in order to make his own, but she stood clear and proud. As she said, we all have our jobs to do, and I feel inspired to do mine, and to support her views without fear. You were fantastic on BBC Radio 4 /'Taking A Stand/' tonight. Warm, articulate and very logical and I did not see what you are doing as in any way racist but as /'child first/' initiative where children can not wait for society to sort itself out. Good luck. Good morning, I recently heard your BB Radio interview and I wished to write to tell you how moved I was by your project. I wish there were more people in the world who would stand up in the way that you have. I am a serving military officer and I deeply love my country and the things my country use to stand for. I recently had my first baby. I wish that there was a similar project within the UK to prevent children being brought into the world off hell through no fault of their own. Heard you today on bbc radio 4 what an inspiration, at last a common sense approach no judgement no politics just a simple solution to a terrible problem. I just read about your organisation through BBC interview. I think it/'s an amazing idea that should be offered everywhere and definitely implemented here in Britain. You have a great idea & I wish you all the best. As a midwife I haved worked in child protection and with addict mothers - I throughly support project prevention. I have seen babies removed who have been one of multitude born to one woman, often these women are not just drug addicts and there are many other problems that become a bigger drain on the resources of the NHS and the state. Mothers are often not drug addicts - do we forget that often there is crime / prostitution involved in drugs and the drain that these continually put on the state?! To put a few hundrew pounds in to long term contraception for these women is SENSIBLE and it really frustrates me to hear opinions like the one voiced by the "agony aunt" today. They are not FORCING THESE WOMEN to take part, they are given full information and are able to make the choice if they want to be sterilised and again only if they have had 6 children. the cost of removing 6 children will encompass so much: meetings with social workers, health visitors, midwives and police before hand to establish that this lady is unfit to care for her child taking them away from their usual role. Then the cost of special care baby unit for monitoring & treating the baby for withdrawals initially (2 sets of professionals to care for a mother and child rather than a single midwife on the postnatal ward), then 2 sets of midwives to visit the mother and baby postnatally separately after discharge, the baby is placed with a foster carer (who are paid approx �400 per week to care for a child), then the cost of the childs additional health needs however long they last, the cost of bringing up the child in the State system, eventually the child will probably become another addict or young offender because these children lack the stable upbringing of their peers and therefore will probably never even be employable .......... need I go on. Or - we end this nonsense by offering the women �300 to be sterilised OR have long term contraception like the coil or the implant - which means 3-5 years of non childbearing (more than enough time for a women to turn her life around if she truly wants to have children!) The women will either seek to get themselves clean by one of the many drug rehab programmes that the taxpayer pays for, or they will eventually write themselves off. Both options sound equally bleak - but the latter means we are not burdening an already overstretched government purse! I may sound jaded - but one woman I cared for recently who was having her 3rd child removed in 5 years - said it best, "see you next year, I want a girl now" - she'd had 3 boys who she had never seen apart from the day they were born. They were all fostered by one woman like Barbara who wanted to keep them together - but realistically how long can this foster carer carry on taking in these children?? Sometimes prevention is better than cure - and we've got enough "cure" not being taken up!! Barbara - you go for it - its about time the rest of the world woke up and saw what cost these mothers really put on the british state - I'm sure they would rather spend �300 on stopping it than the �'000,000's that these children born to these mothers end up costing. Anyone who takes in these children deserve to be supported but if something puts a bit of responsability back on to the would be mothers - surely thats empowering to them!